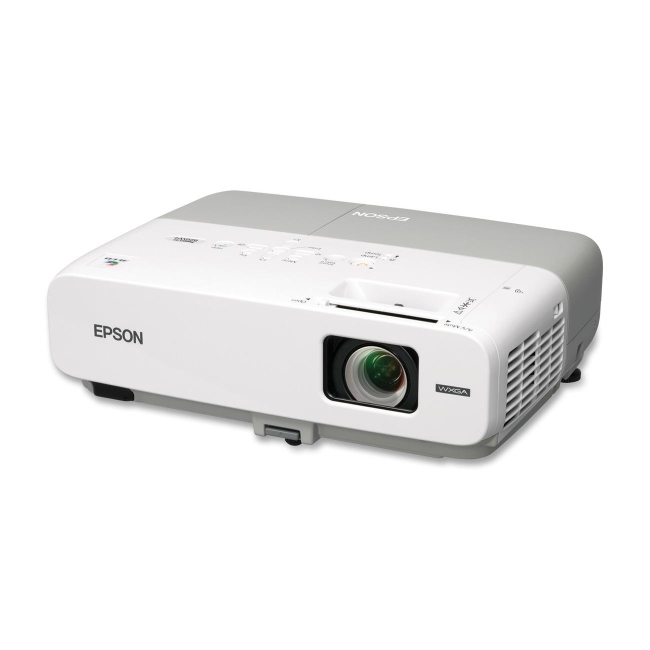 A powerful widescreen performer, the Epson PowerLite 826W+ offers 2500 lumens of color light output and 2500 lumens of white light output1, plus convenient, network ready features. With widescreen, 16:10 capabilities, this easy, affordable performer gives you 30% more image area than standard 4:3 projectors, so it's simple to display content from the latest widescreen computers, as well as HD content. You can link the projector to a network, and display presentations remotely. Or, quickly connect to your PC or Mac® computer with Plug 'n Play USB connectivity. You can even present wirelessly with the optional wireless module and included software. Closed captioning is included for viewers with hearing impairments, as is a built-in 10 W speaker for truly amazing audio.